LLC, which oversees design and construction of major capital projects in the public and private sectors such as the Judicial Center in Harrisburg, the Pittsburgh Penguins arena, and the new Family Court in Philadelphia, PA. Majid chairs the Board of Delaware Valley University, and chairs the Board ofthe Dialogue Institute, a non-profit that teaches the skills of dialogue and critical thinking,empowering leaders from around the world to sustain transformative relationships across lines of religion and culture. Majid also serves on the national Muslim Jewish Advisory Council, a bi-partisan group of business, political and religious leaders who are working to address hate crimes and protect religious freedom. He is a co-founder, and chairman emeritus of Intercultural Journeys, and Vice Chair, and Treasurer of the Historical Society of Pennsylvania. Majid lives on a farm outside of Philadelphia, Pennsylvania where he raises Arabian horses. Father Peter graduated from St. Vladimir's Seminary with a Master of Divinity degree in 1985 and wrote his thesis on the development of North African Ecclesiology. He also holds a Master of Theology degree from General Theological Seminary, New York City, and a Master in Strategic Studies degree from The United States Army War College, Carlisle, PA. The grandson of Belarusian and Lithuanian immigrants, Fr. Peter grew up in Brooklyn, NY. He and his family were members of Holy Trinity Orthodox Church, East Meadow, NY. It was while serving as an altar boy that Fr. Peter first felt the call to the priesthood. Father Peter entered the Army Chaplain Corps in 1990. He was deployed as an active duty chaplain in Kosovo, Iraq, Kuwait, and Bosnia and also served at installations in the United States, Germany, and South Korea. His most recent assignment was as Intelligent and Security Command Chaplain at Fort Belvoir, VA. Immediately prior to that he served as Chief Chaplain at Fort Bliss, TX. Dorie Friend is a historian, novelist, and teacher of modern global history. He has been President of Swarthmore College (1973-1982) and President of Eisenhower Fellowships (1984-1996). An ecumenical Protestant, he is active in interfaith dialogue that embraces Muslims, Jews, Buddhists, Hindus, Baha’i, and Christians of every kind, and others of any kind. Ann Schroeder is founder of GlobalSource Partners, Inc. and serves as the company's Chief Executive Officer. The company, founded in 1994 as LatinSource, later merged into GlobalSource Partners, Inc. to service the growing needs for investment analysis across emerging markets globally. The company currently provides coverage on 24 developing countries. 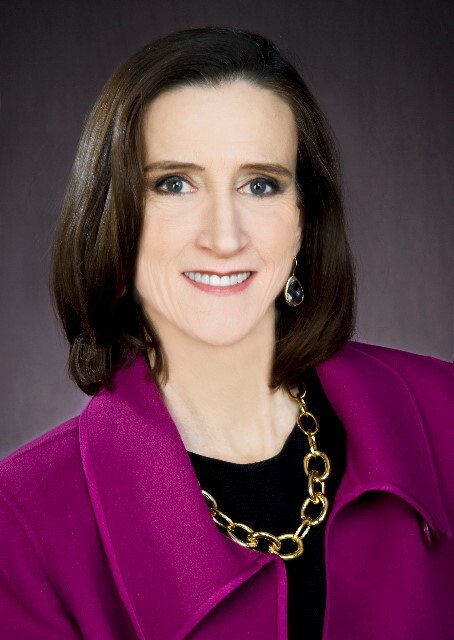 Ann has been involved in the financial services industry since 1984, initially working as a financial consultant with Shearson Lehman Brothers, and later with Institutional Analysts Agency, a company providing management and publishing services for independent economists and political analysts. She received a B.A. from Trinity University, an M.B.A. from Fordham University, and a certificate in Political Psychology from George Washington University, Elliott School of International Affairs. She serves on the Board of Directors of the Dialogue Institute and Global Americans, and is a past board member of the Women’s President’s Organization, and Pro Mujer, a microfinance entity providing loans, business training and healthcare support in Latin America. Gity Banan-Etemad is a professor of Pediatrics at Temple University School of Medicine in Philadelphia, and Attending Physician at St. Christopher’s Hospital for Children and Temple University Hospital, with long-standing teaching experience in pediatrics. She has published books, articles, and an entry in Encyclopedia Iranica. Her other interest is in “Health Development” in developing countries through NGO organizations, namely “Health for Humanity.” Through this organization, she has traveled around the world numerous times giving lectures on health issues, continuing medical education in medical schools, hospitals, and public health institutions. In Philadelphia, Gity is a co-founder of the Interfaith Center of Greater Philadelphia, a founder of Mainline Interfaith Women's Group, and is a member of Devon Interfaith Gathering; these groups serve to promote dialogue between religious leaders, high school students, and diverse faith groups for the advancement of world peace. She is a fourth-generation Baha’i and an active member of national and local Baha’i communities. Gity is married and has three adult children. She and her husband reside in Villanova, PA.
Fahad Alhomoudi is the founder and president of the Western Studies Institute. In the past he served as Head of Research Accreditation and Quality Assurance, Vice-Dean for Academic Research and Publication, and professor at the School of Law of Imam Muhammad bin Saud Islamic University. He works as a consultant for Princess Norah bint Abdulrahman University. Through his role as Fulbright Scholar, Fahad has engaged many in extensive intercultural/interfaith dialogue initiatives, including the establishment of the Western Studies Institute. He has been a visiting professor and lecturer at McGill University, Loyola University, and Melbourne University. He was awarded a B.A. in Principals of Religion and an M.A. in Islamic Studies from Imam Muhammad bin Saud Islamic University. Fahad's academic research has focused on Prophetic Tradition, Islamic Law and Environmental Law, and Methodology of Muslim Scholars. William Cullinan studied religion at the University of Hawaii and Temple University, where he also taught Asian Religions. Prior to that he taught business and economics for 10 years at Del Mar College in Corpus Christi, Texas. He also studied Chinese and taught English for four years at Fu Jen University in Taiwan. William received his B.B.A. in management and his M.S. in economics from Texas A&M University. His interest in different religions came from traveling to various countries, especially Asia. He continues to advance his learning through international travel, conference, and classes. William is particularly interested in interreligious dialogue and hopes to see more dialogue with African nations and various religious groups in the United States. University Professor, Professor of Religion and International Affairs and of Islamic Studies at Georgetown University, John Esposito is Founding Director of the Alwaleed Center for Muslim-Christian Understanding in the Walsh School of Foreign Service. Previously, he was Loyola Professor of Middle East Studies, College of the Holy Cross. Past President of the American Academy of Religion and Middle East Studies Association of North America, John has served as consultant to the U.S. Department of State and other agencies, European and Asian governments, corporations, universities, and media worldwide and ambassador for the UN Alliance of Civilizations and was a member of the World Economic Forum’s Council of 100 Leaders and E. C. European Network of Experts on De-Radicalisation. He has received honorary doctorates from St. Michael’s College, University of Toronto, the University of Sarajevo, University of Florida and Immaculata University as well as the American Academy of Religion’s Martin E. Marty Award for the Public Understanding of Religion, Pakistan’s Quaid-i-Azzam Award for Outstanding Contributions in Islamic Studies, Georgetown University’s School of Foreign Service Outstanding Teacher Award and Georgetown’s Career Research Achievement Award. His more than 45 books include: The Future of Islam, Islamophobia and the Challenge of Pluralism in the 21st Century; Who Speaks for Islam? What a Billion Muslims Really Think (with Dalia Mogahed); Unholy War: Terror in the Name of Islam; The Islamic Threat: Myth or Reality? ; Islam and Politics; Makers of Contemporary Islam and Islam and Democracy (with John O. Voll); What Everyone Needs to Know About Islam; Asian Islam in the 21st Century (John Voll & Osman Bakar); World Religions Today and Religion and Globalization (with D. Fasching & T. Lewis); Geography of Religion: Where God Lives, Where Pilgrims Walk (with S. Hitchcock); Islam: The Straight Path; Islam and Democracy and Makers of Contemporary Islam (with J. Voll); Modernizing Islam (with F. Burgat); Political Islam: Revolution, Radicalism or Reform? ; Religion and Global Order (with M. Watson); Islam and Secularism in the Middle East (with A. Tamimi); Iran at the Crossroads (with R.K. Ramazani); Islam, Gender, and Social Change and Muslims on the Americanization Path and Daughters of Abraham (with Y. Haddad); and Women in Muslim Family Law. John's books and articles have been translated into more than 35 languages. Harry Halloran is the Chairman and Chief Executive Officer of American Refining Group. He is also the Chairman and CEO of ARG Resources. He is a graduate of the University of Pennsylvania with a degree in Civil Engineering. After graduating, he entered the Augustinian seminary for four years and earned an M.A. in Theology. Harry is also the founder and CEO of Energy Unlimited, Inc. a company involved in the renewable energy field and has served on the Board of The American Wind Energy Association. He is a founder and Chief Executive Officer of Frontier Wind, LLC. He serves as Chairman of Terra Green Energy, LLC. Other past positions include: Trustee of Villanova University, Trustee of the Academy of Natural Sciences, and member of the Caux Round Table. He is also the Founding Trustee of the Enlightened World Foundation and the Halloran Foundation. Harry founded Halloran Philanthropies in 2007 with the belief that business is one of the most powerful drivers for positive social change. The purpose of the Halloran Philanthropies is to help create a healthier world community that promotes economic development through microfinance, global business ethics, and community service to revitalize low-income neighborhoods. Amid I. Ismail, BDS, MPH, DrPH, MBA, is the Dean and the Laura H. Carnell Professor at the Kornberg School of Dentistry, Temple University. He has been an actively funded researcher for over 30 years with expertise in population-based studies, caries research, and interventions to reduce health disparities. His work focuses on the fields of measurement, outcomes assessment, design and planning for complex statistical analyses, survey methods, and organizational management. Amid played a significant role in developing the field of evidence-based dentistry and was a key consultant to the American Dental Association in this area. He also played a leadership role in developing the Community Dental Health Coordinator project for the American Dental Association. Amid has established new innovative programs such as the Advanced Dental Education Residency and Public Health (ADREACH) program, which offers a master's degree in public health and advanced training in general dentistry in community clinics. As Dean, he has developed strong local and global networks between the dental school and other organizations and universities. He has renovated the dental clinics and pre-clinical laboratories and implemented lean management at the dental school that resulted in a $6M increase in non-tuition-based revenues in five years. He has established educational programs with Kuwait and China, implemented community-based dental residency programs, and developed a novel post-baccalaureate program. Amid also founded Temple University's Bridge to Peace program between Israeli and Palestinian academics and the Alliance for Oral Health Across Borders. He has received awards from the International Association for Dental Research (H. Trendley Dean Award), the Regents’ of the University of Michigan (Community Service), American Dental Association, and community organizations. He is a member of the International College of Dentistry and the Alpha Omega Dental Fraternity. Amid received his dental training at the College of Dentistry, Baghdad University and completed a master's degree and doctorate in public health at the University of Michigan. He also graduated with distinction from the Ross School of Business at the University of Michigan where he received his M.B.A. Heis a Diplomat of the American Board of Dental Public Health. Howard Cohen is an experienced executive with an extensive background in the private, public and nonprofit sectors. In addition to managing companies in the United States and Great Britain, he has held senior policy and executive positions in federal and state government and nonprofit enterprises, and he has taught management and law at the university level for more than 30 years. Currently, Howard has an active management consulting and public policy practice and teaches courses in business ethics as an adjunct professor at Temple University’s Fox School of Business and Management. He received his M.B.A. in International Business and Transportation from George Washington University and both a J.D. and B.A. (political science and economics) from Rutgers University. Leonard Swidler is a Professor of Catholic Thought and Interreligious Dialogue in the Religion Department of Temple University, where he has taught since 1966. At Temple, and as a visiting professor at universities around the world – including Graz, Austria; Tübingen, Germany; Fudan University, Shanghai; and the University of Malaya, Kuala Lumpur – he has mentored a generation of U.S. and international scholars in the work of interreligious dialogue. He has a Licentiate in Sacred Theology from the University of Tübingen and received his Ph.D. in History from the University of Wisconsin; he also holds honorary doctorates from St. Norbert’s College and LaSalle University. 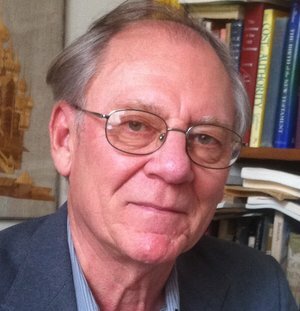 Leonard has published/edited more than 200 articles and 75 books, including: Jewish‑Christian‑Muslim Dialogue (1978); Religious Liberty and Human Rights (1986); After the Absolute: The Dialogical Future of Religious Reflection (1990); A Bridge to Buddhist-Christian Dialogue (1990); Muslims in Dialogue: The Evolution of a Dialogue over a Generation (1992); and Jesus Was a Feminist (2007). Kay Kyungsun Yu is an award-winning legal scholar. In 2018, the Philadelphia Bar Association recognized Kay as a recipient of its acclaimed Justice Sonia Sotomayor Diversity Award and was named Attorney of the Year by the Asian Pacific American Bar Association of Pennsylvania. She was brought to the United States by her mother when she was just a child, shortly thereafter, her family faced deportation. However, Kay made her own case and became a U.S. citizen the same year she graduated from law school. Since that day, Kay has fought for civil rights, stronger communities, and equal opportunity. Within her firm Kay specializes in complex civil litigation, employment matters, and the representation of government entities. Specifically, she helps employers address concerns regarding civil rights, employment discrimination, and constitutional law to foster positive workplace relationships to efficiently resolve conflict. Kay has also had the distinct honor of serving as the Chairperson of the Philadelphia Commission on Human Relations under former Philadelphia Mayor Michael Nutter. In this position, Kay was responsible for overseeing the implementation and maintenance of civil rights and anti-discrimination laws for the City of Philadelphia. During this time she also worked with the City Council to update these laws and ensure they were contemporary with modern social issue.